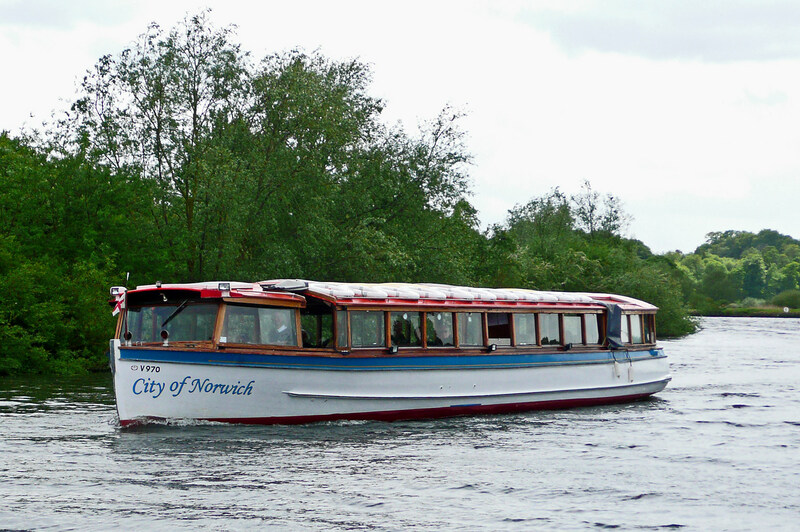 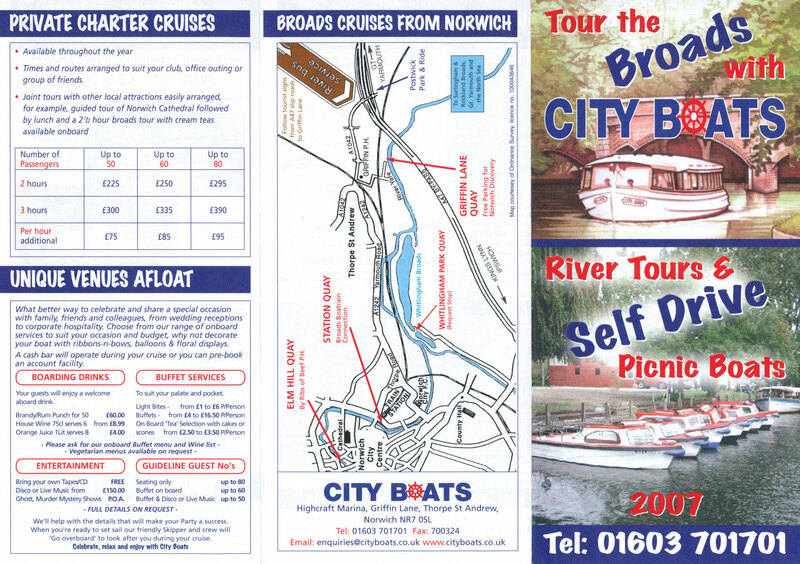 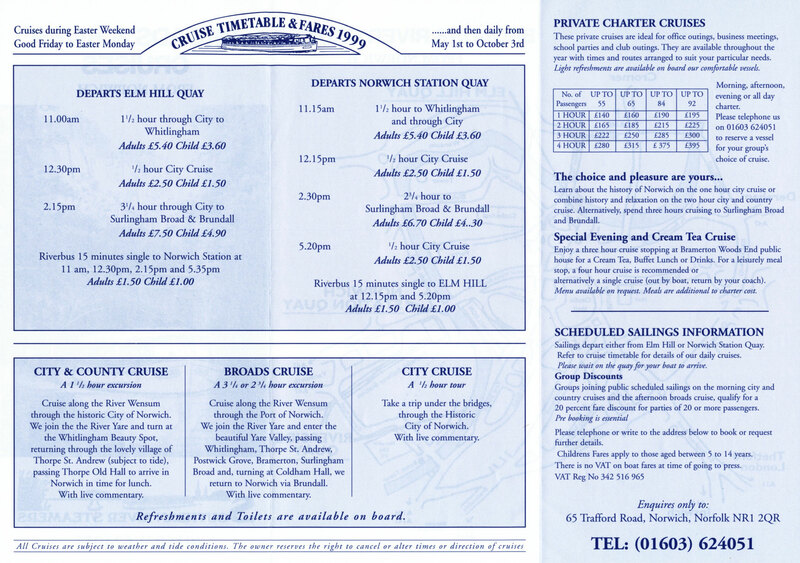 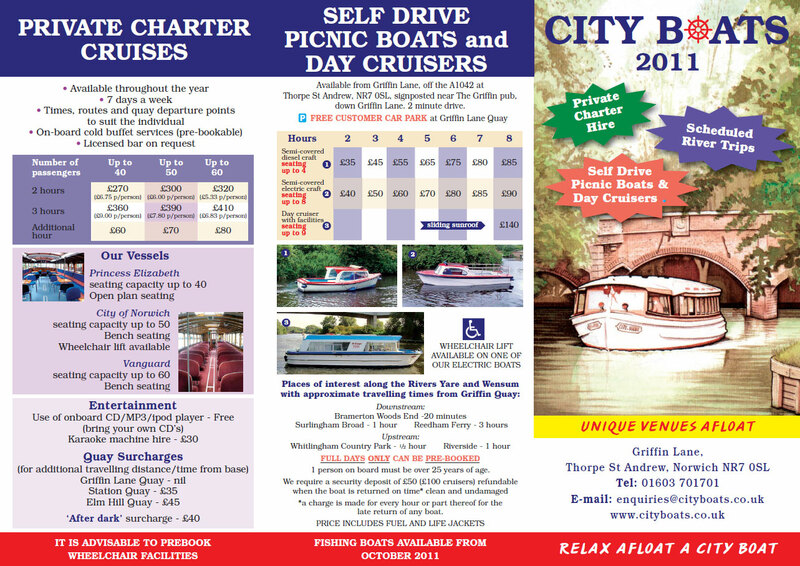 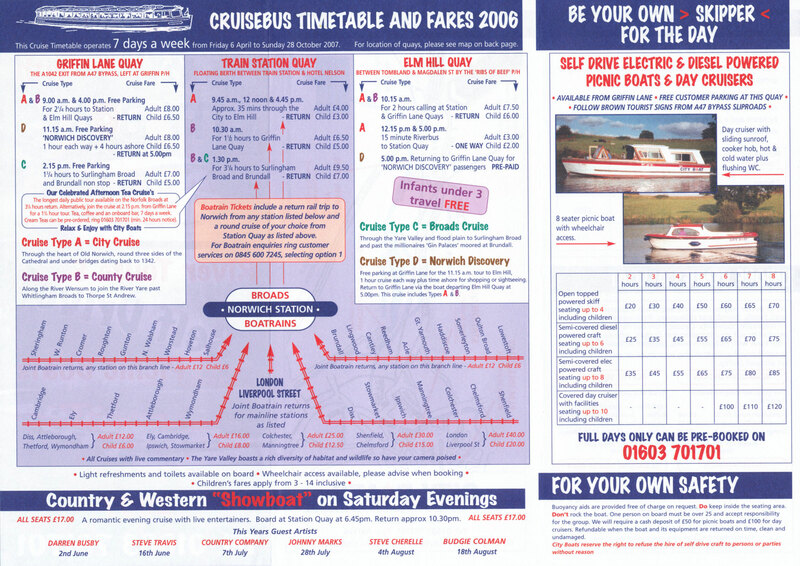 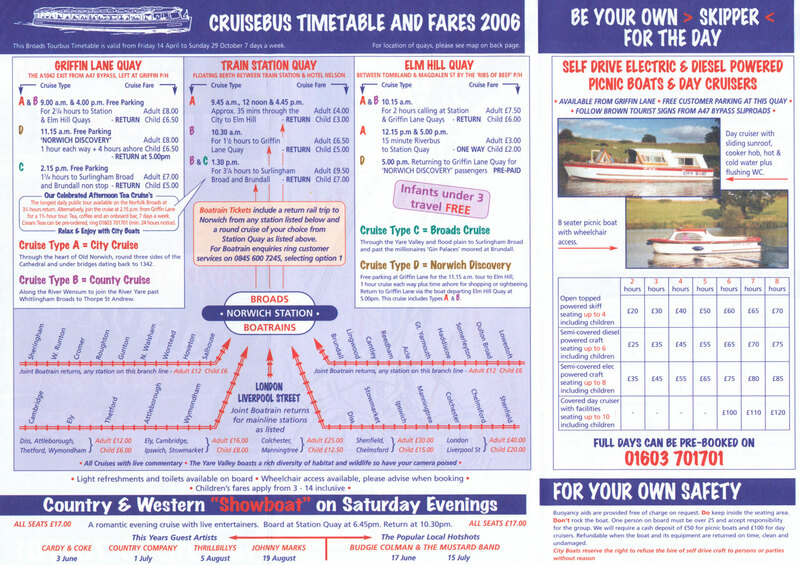 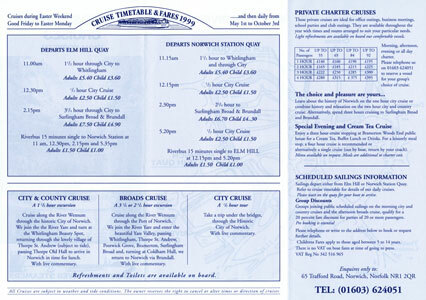 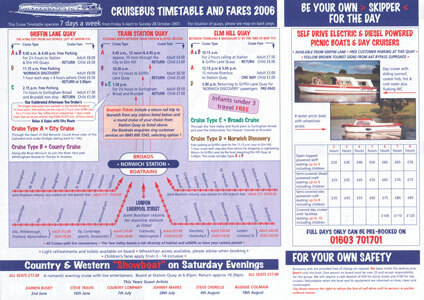 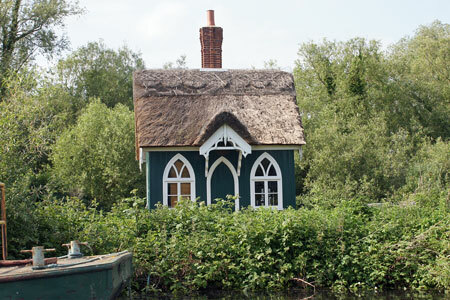 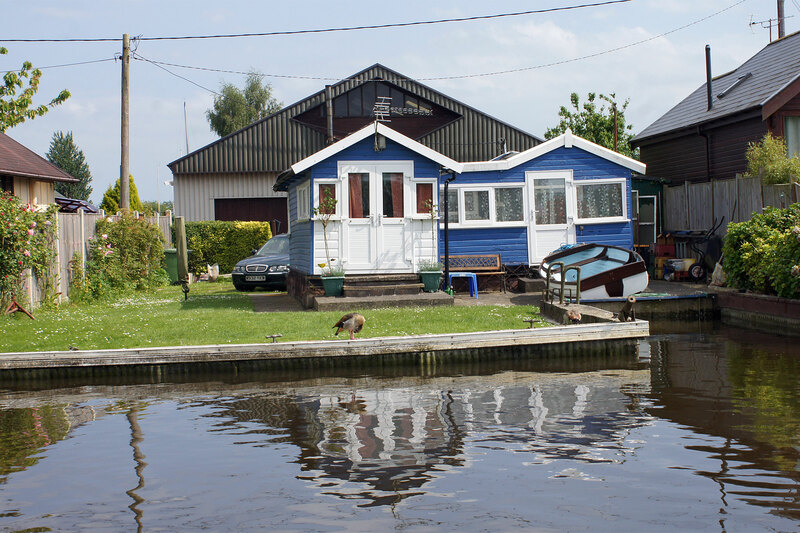 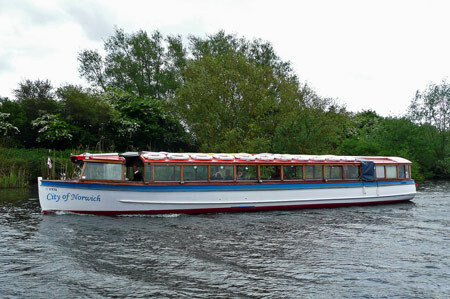 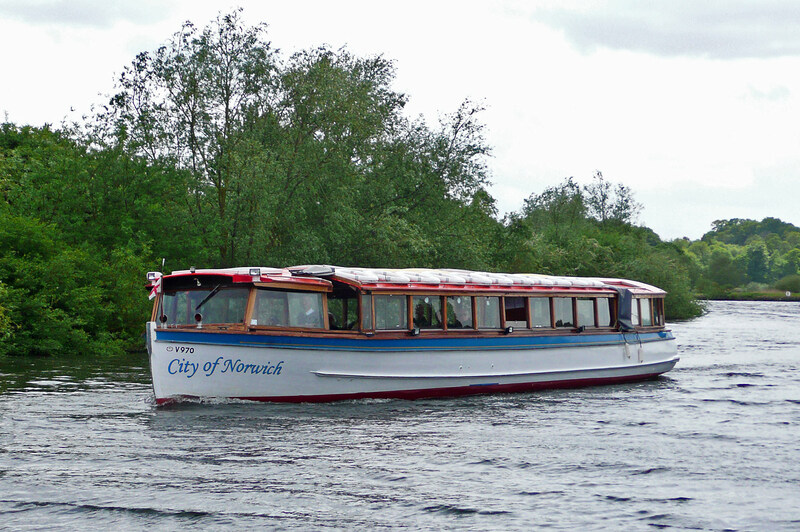 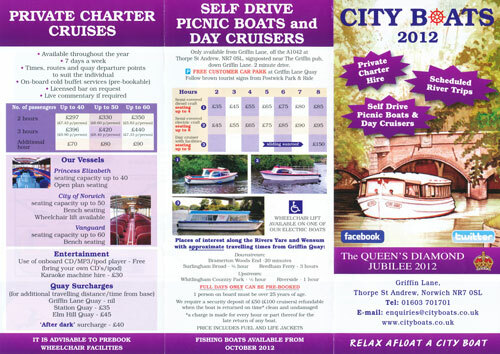 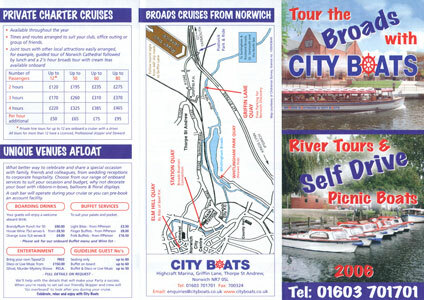 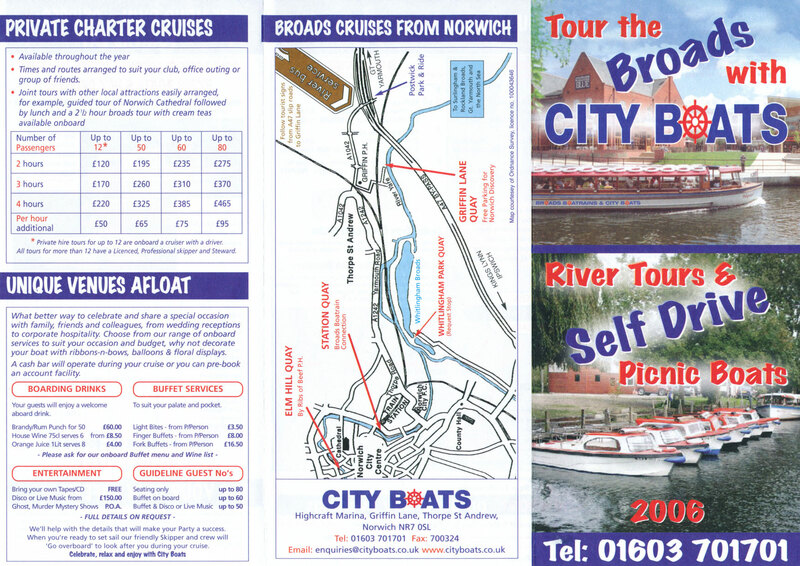 This page shows postcards and images of City Boats, who run cruises on the Norfolk Broads from Norwich. 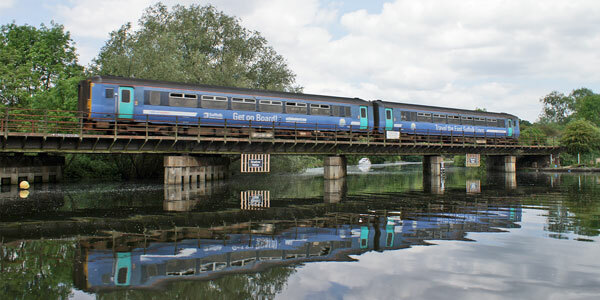 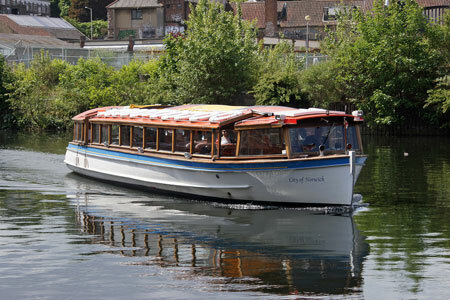 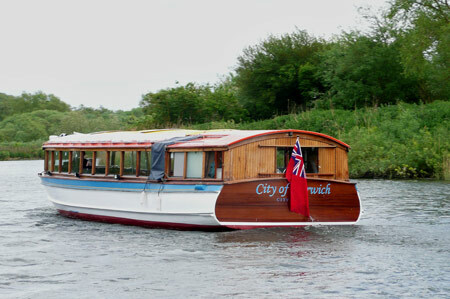 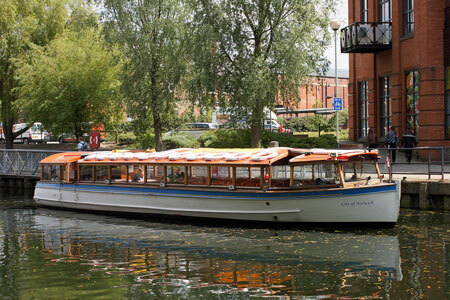 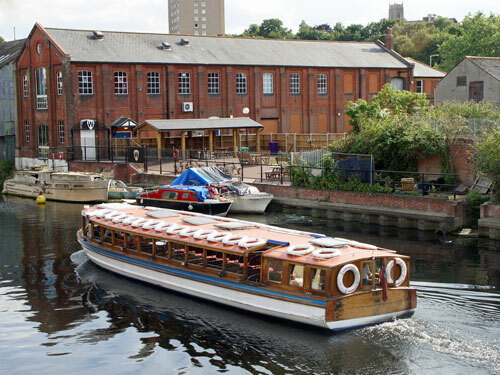 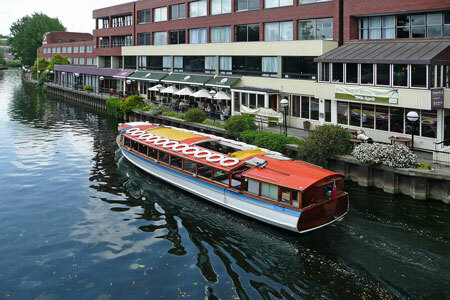 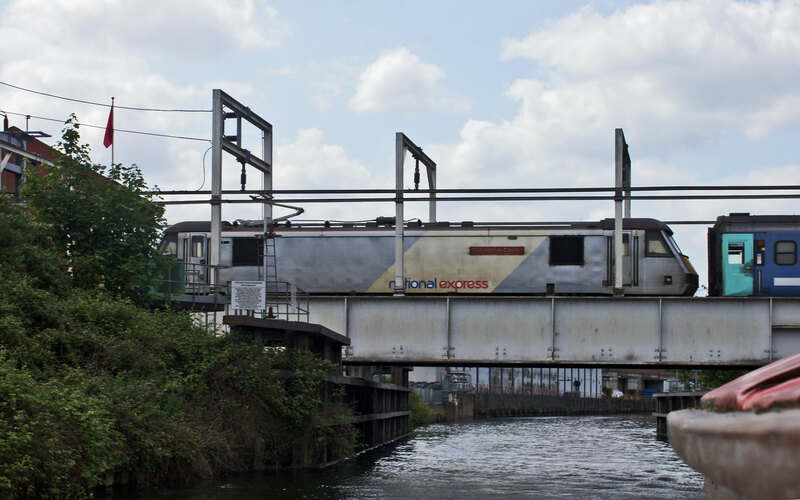 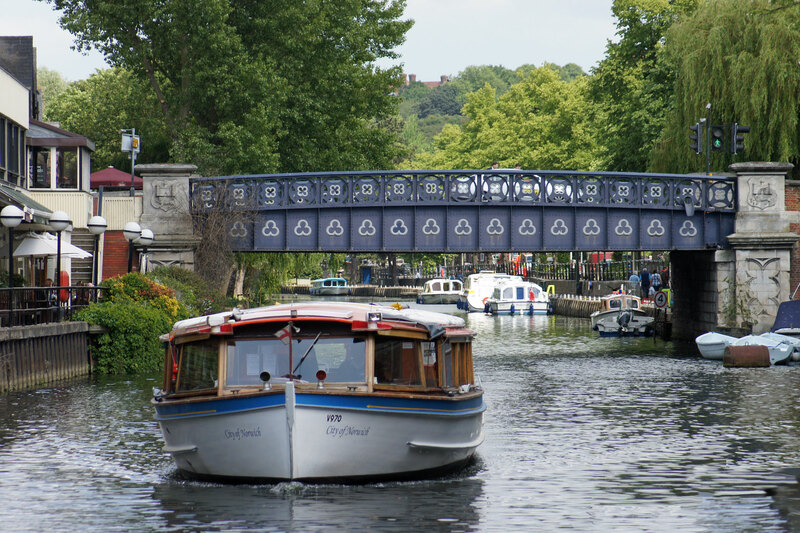 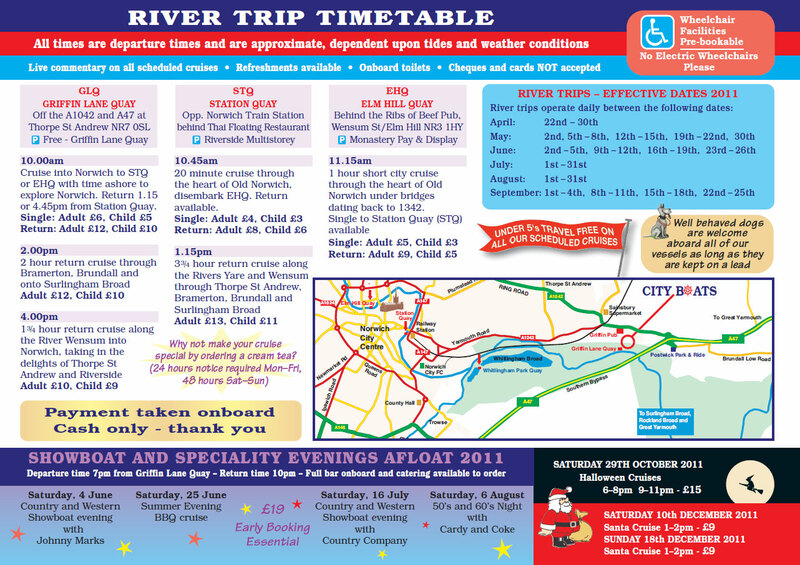 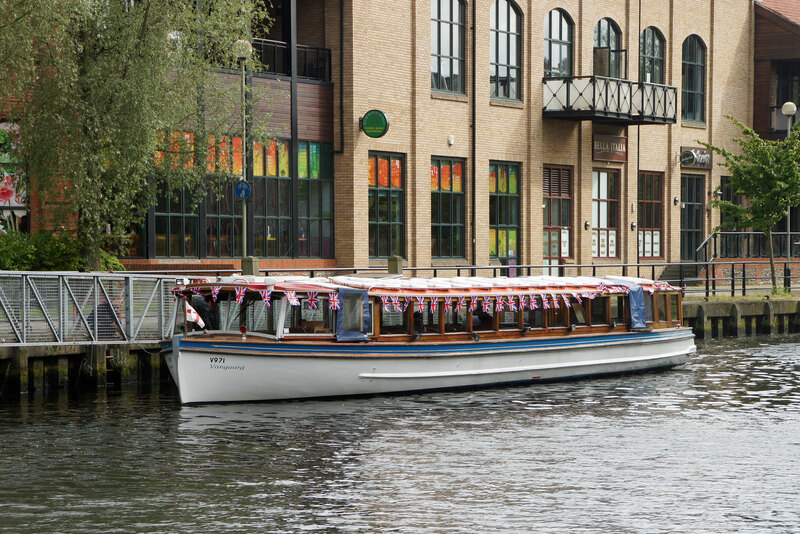 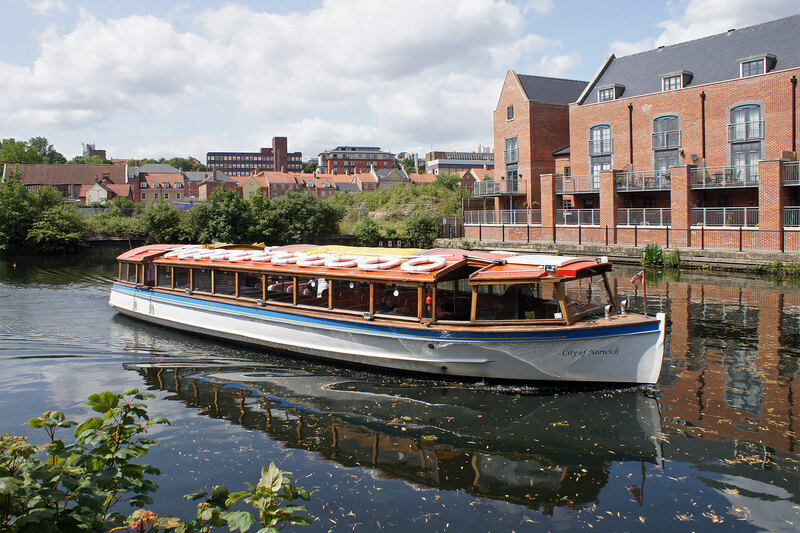 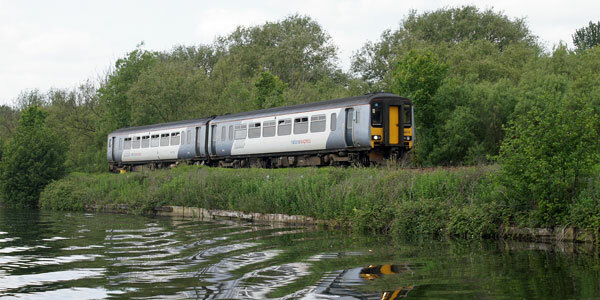 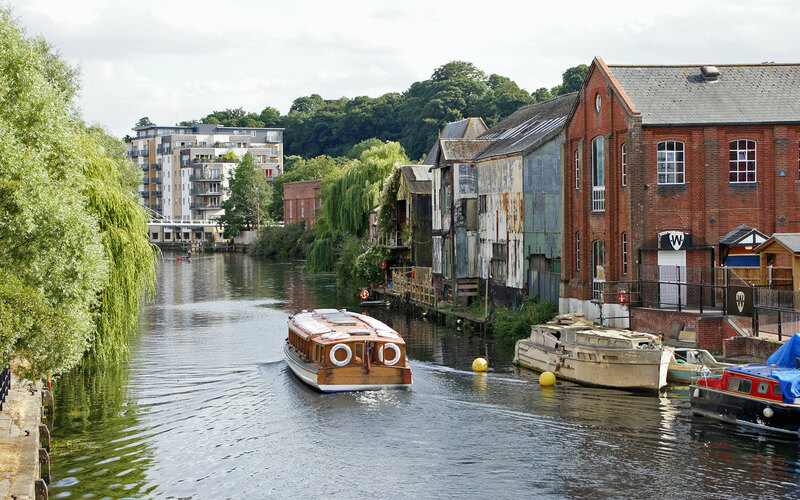 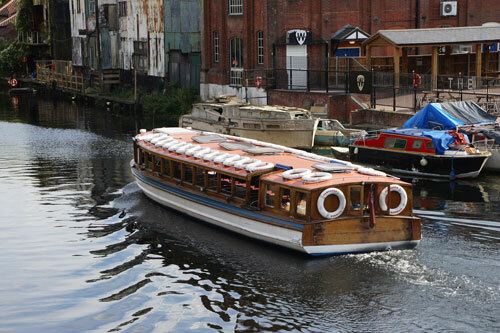 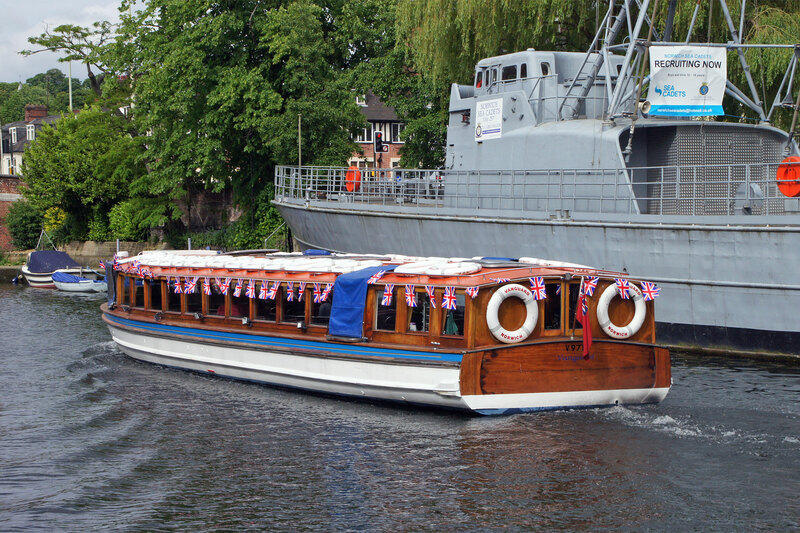 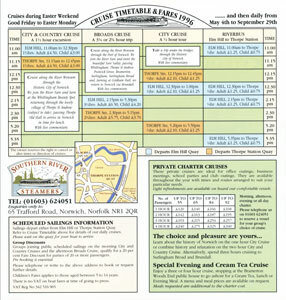 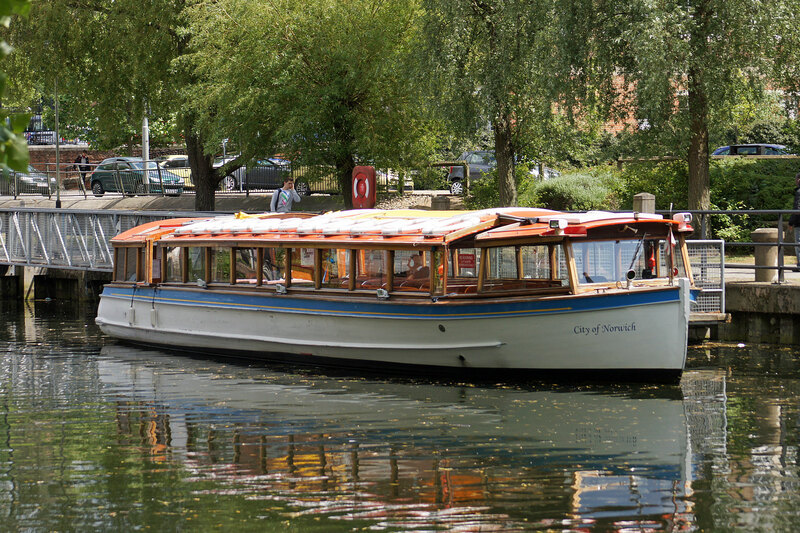 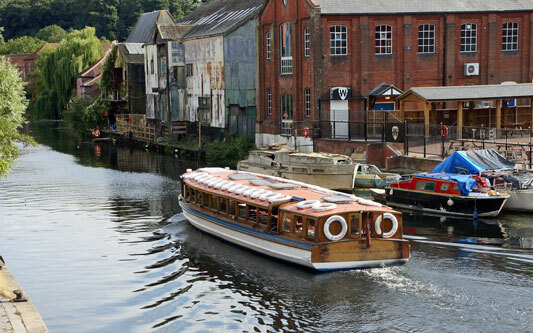 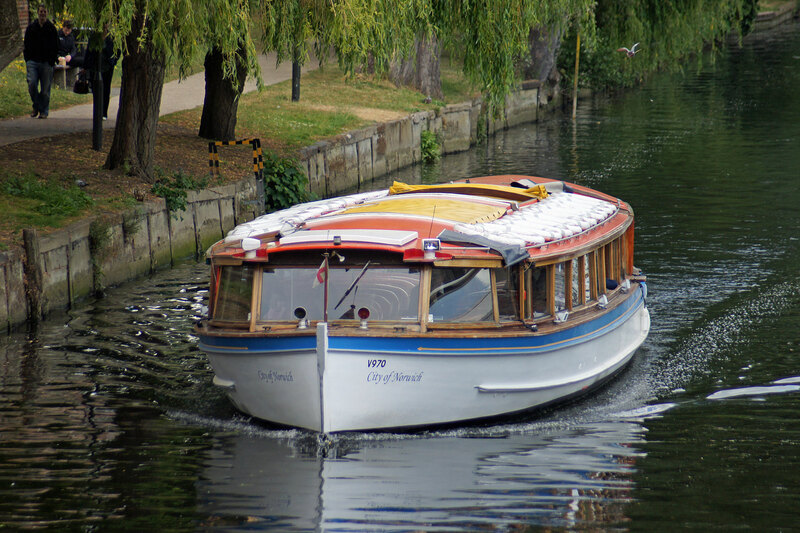 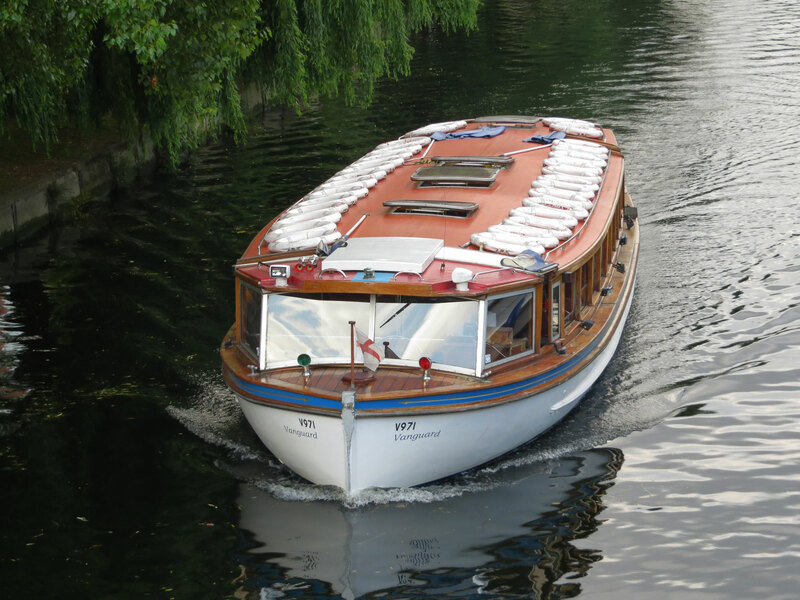 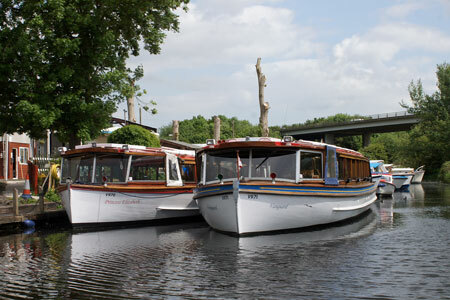 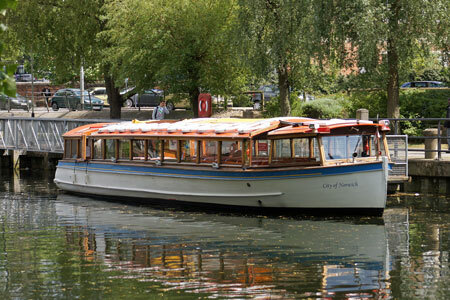 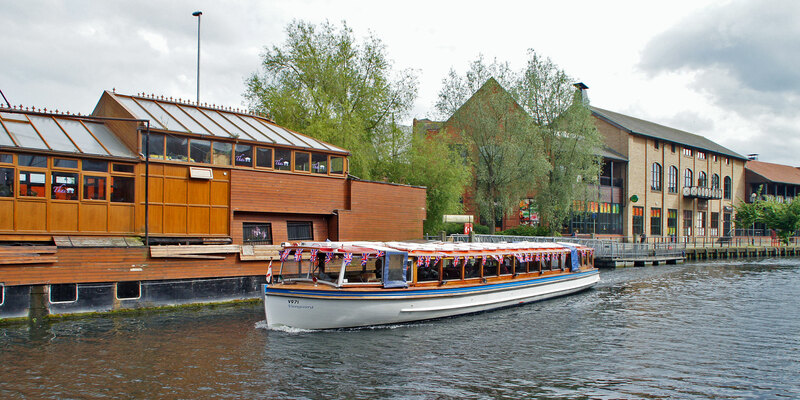 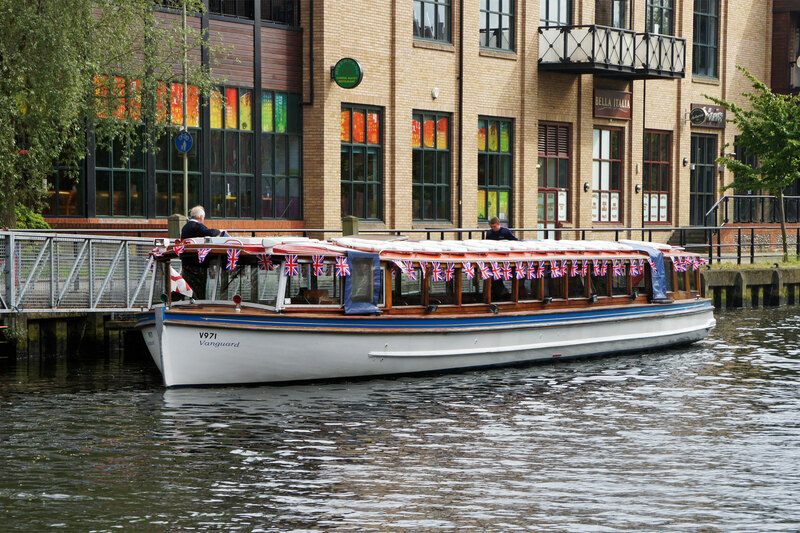 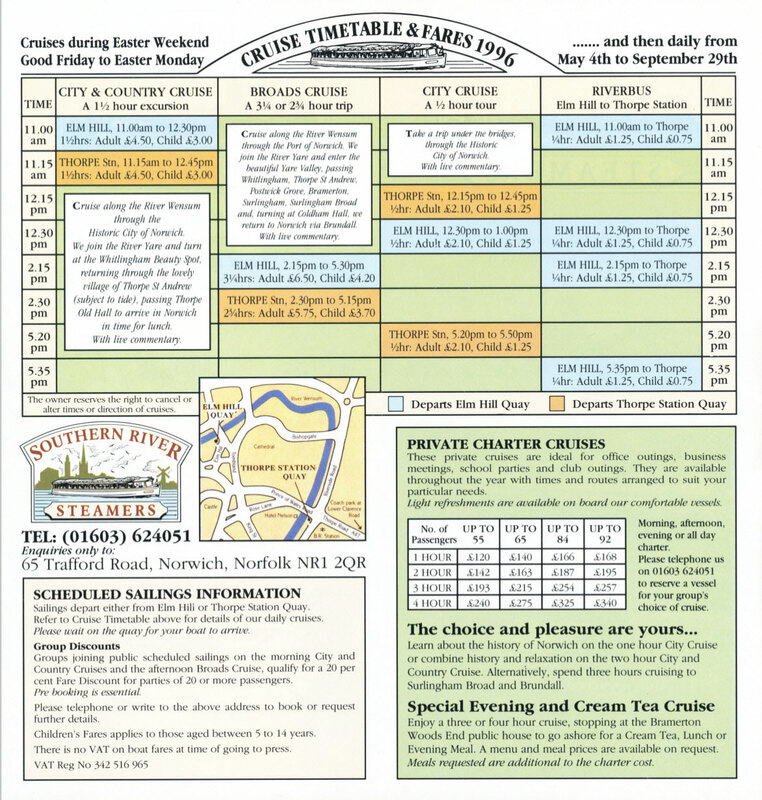 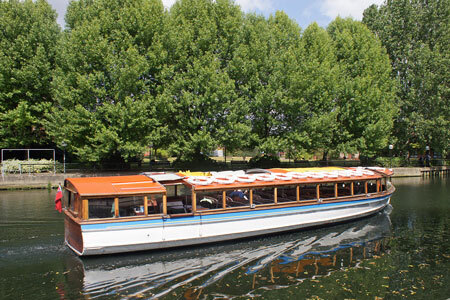 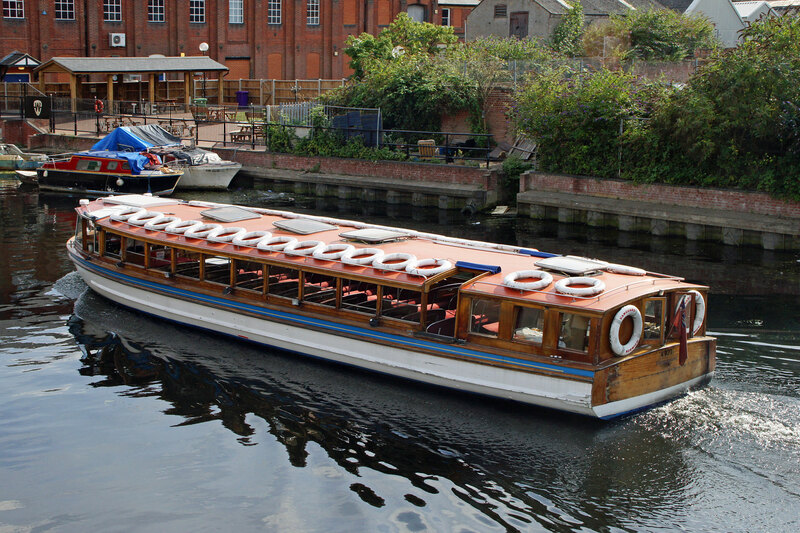 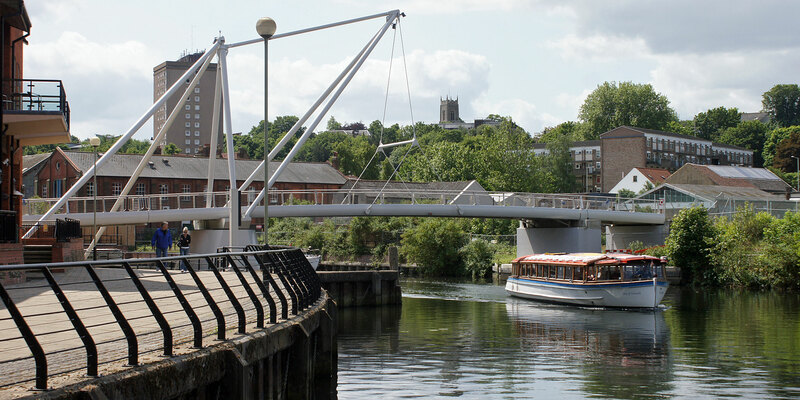 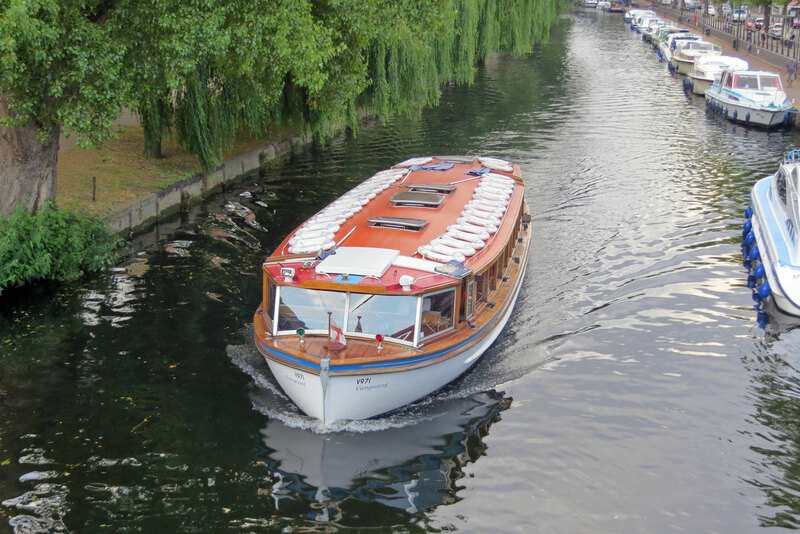 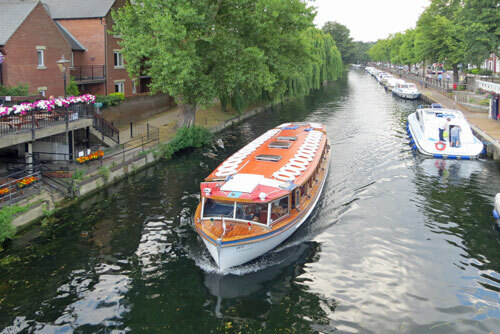 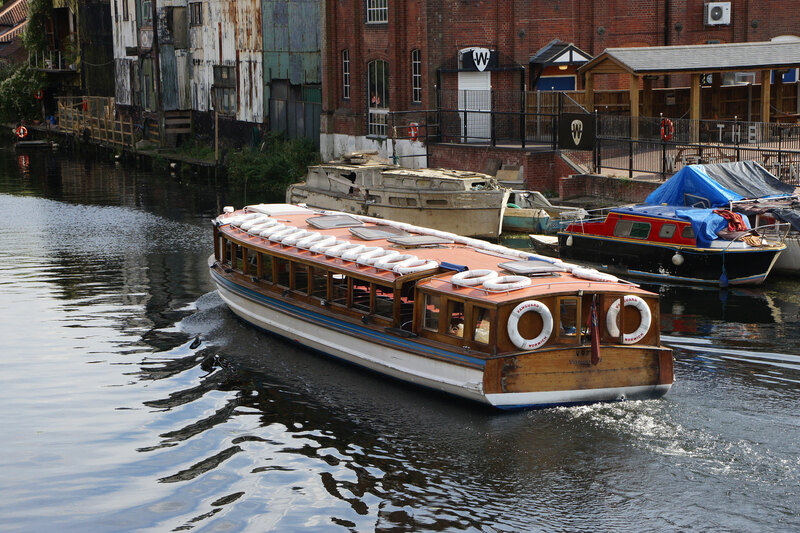 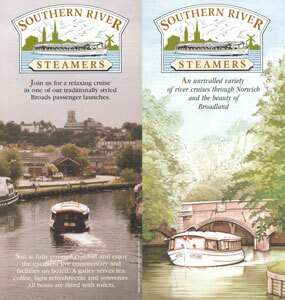 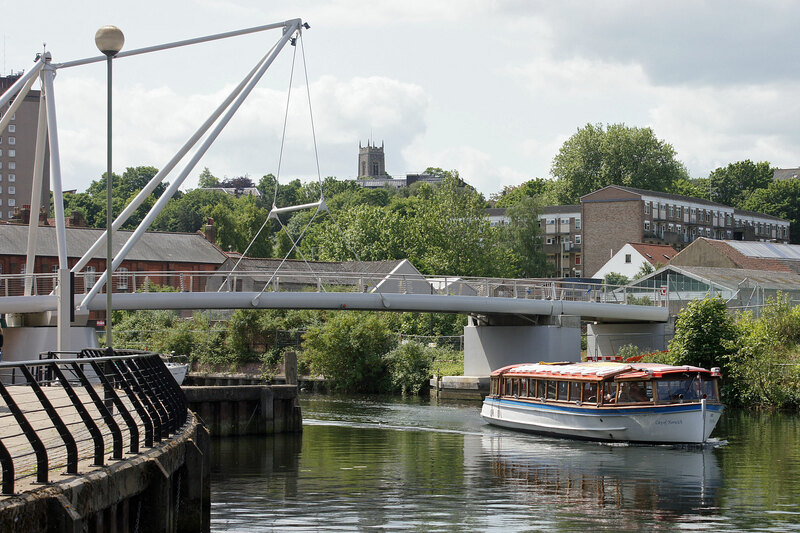 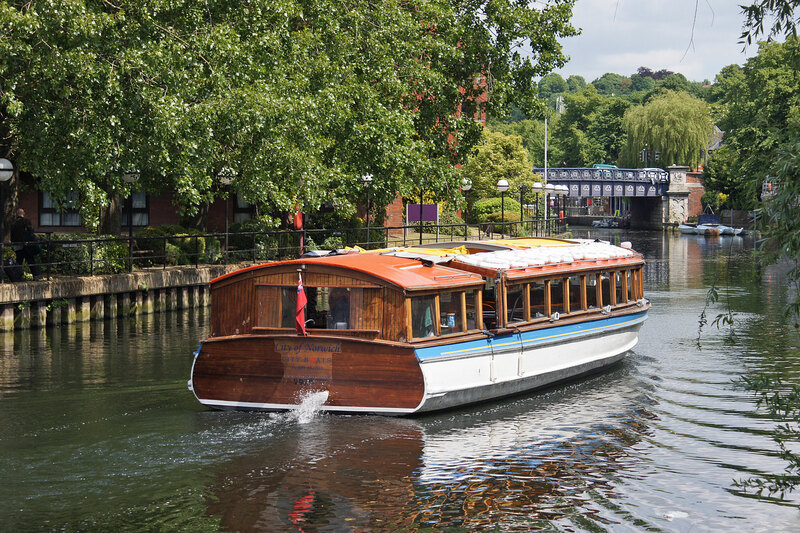 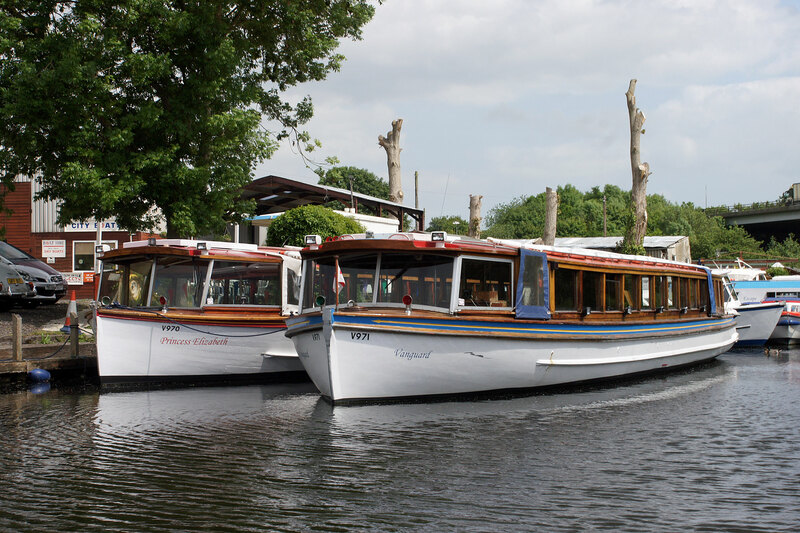 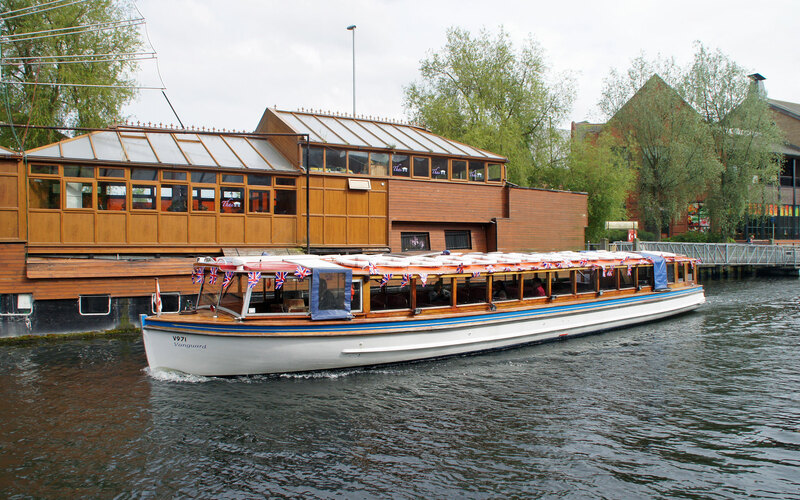 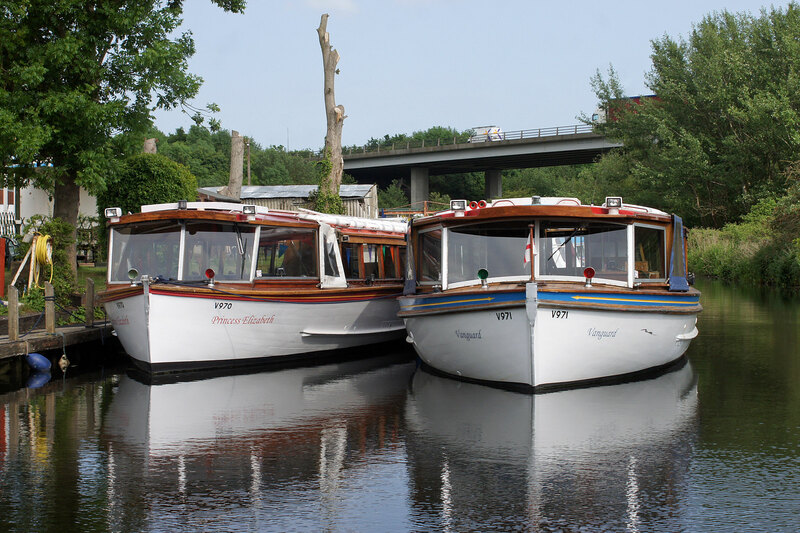 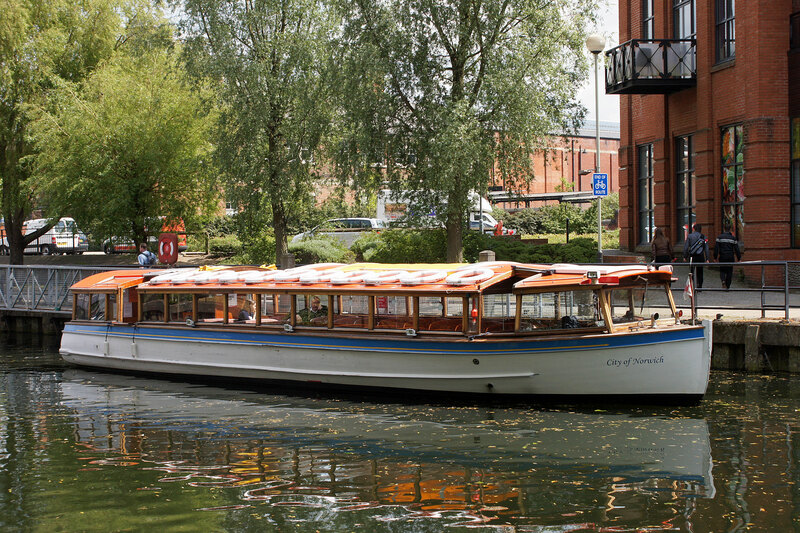 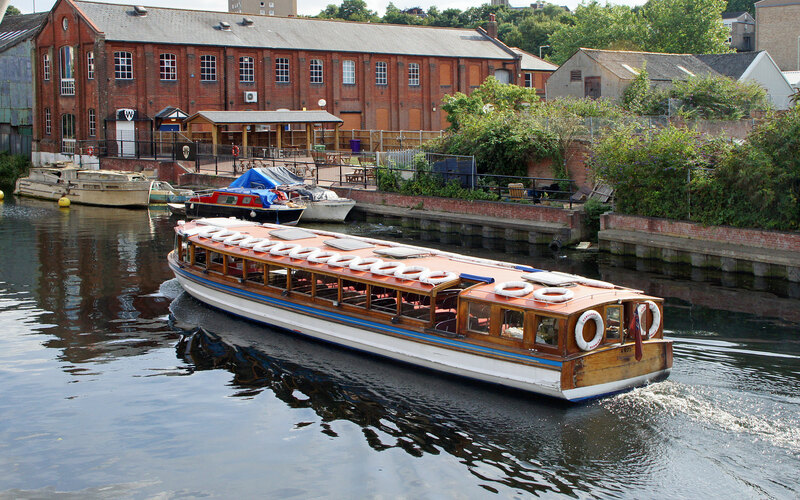 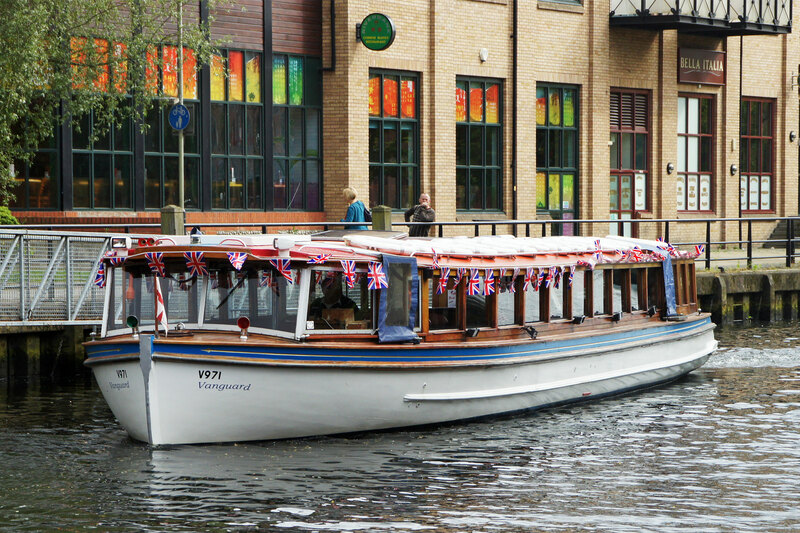 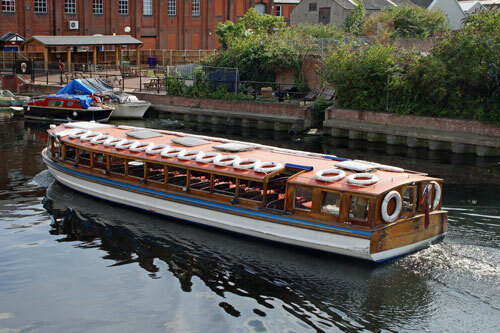 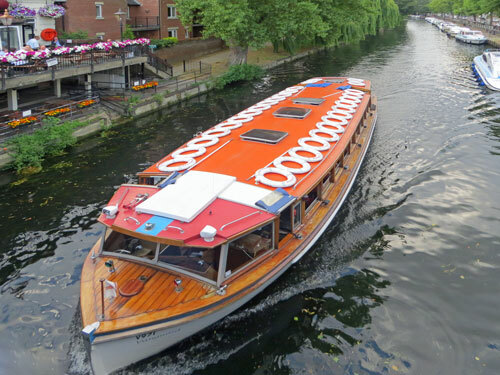 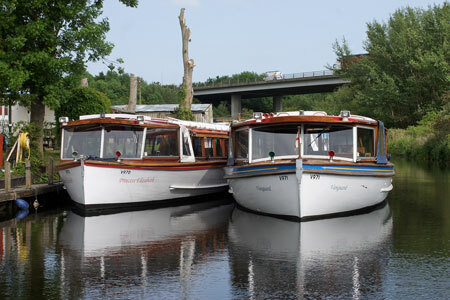 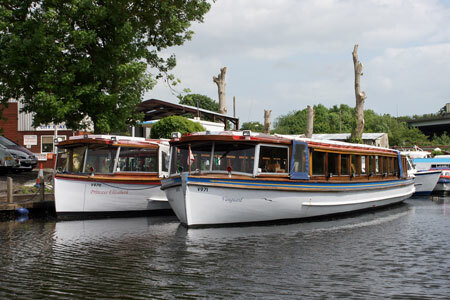 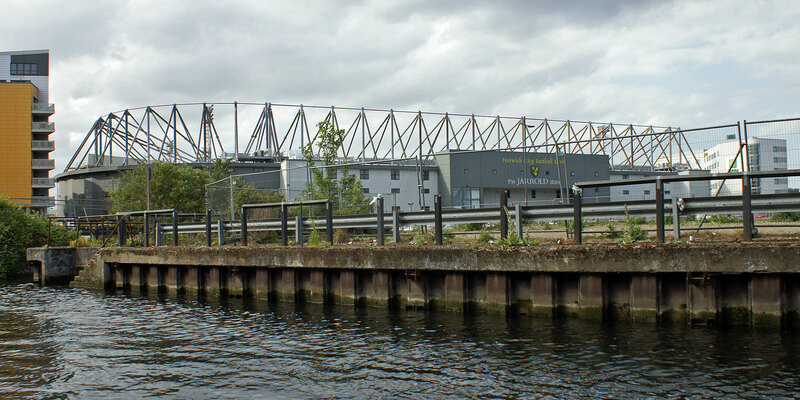 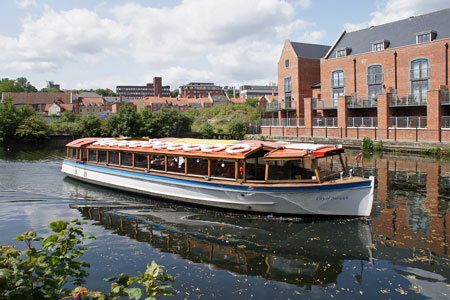 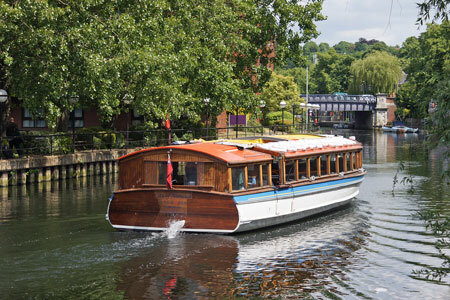 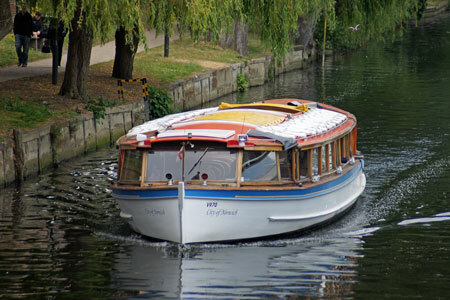 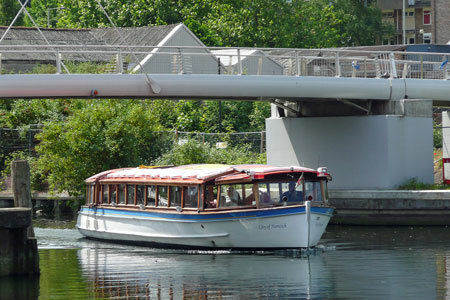 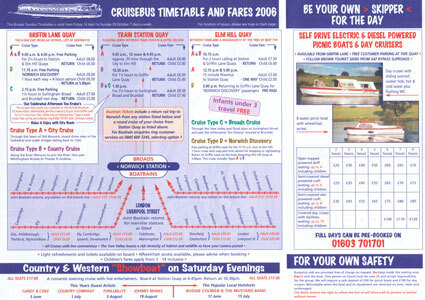 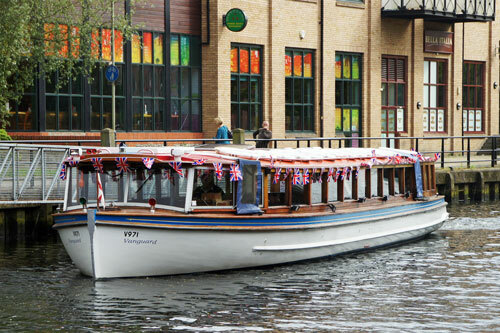 City Boats was formed on May 26th 2000 when Mervyn and Beryl High purchased Southern River Steamers from Cedric Lovewell who had run the latter for 25 years. 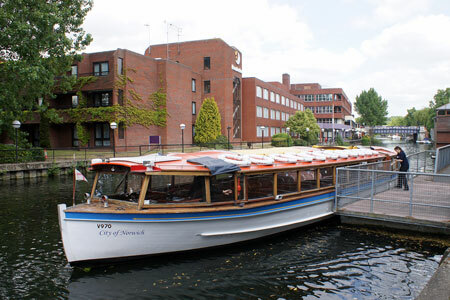 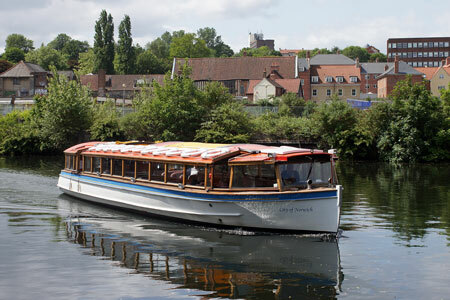 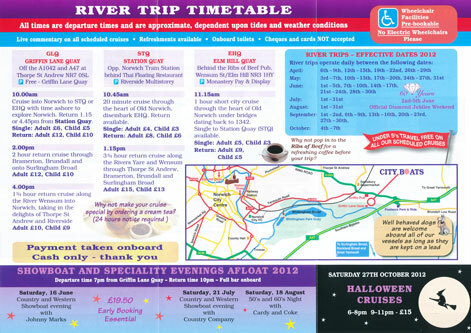 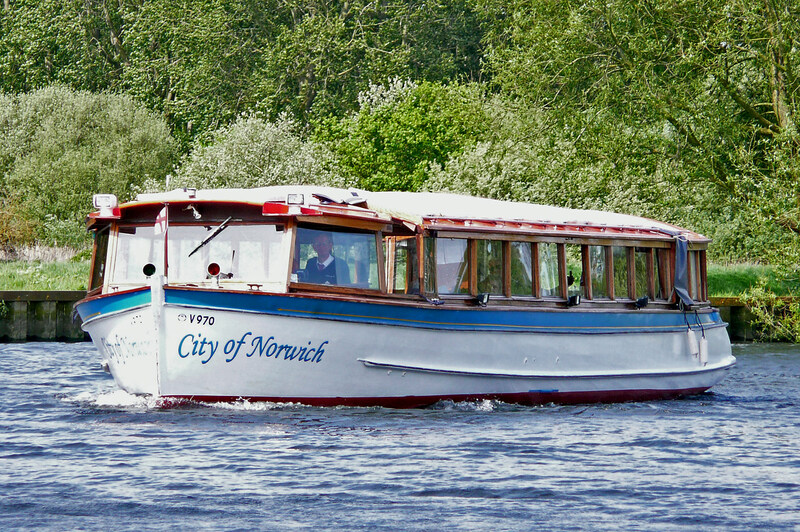 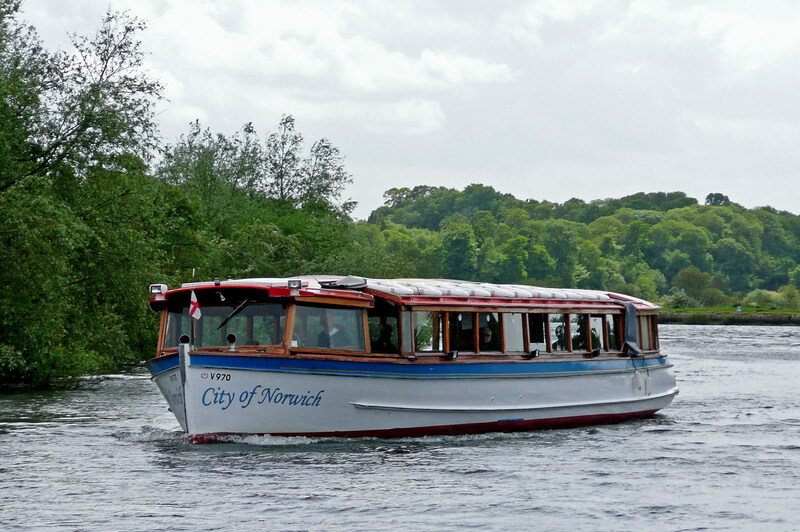 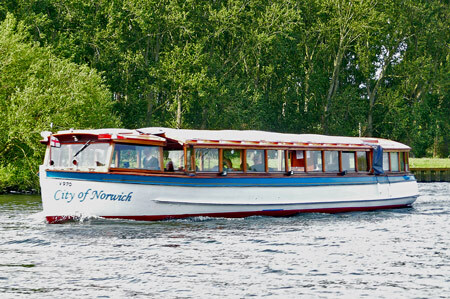 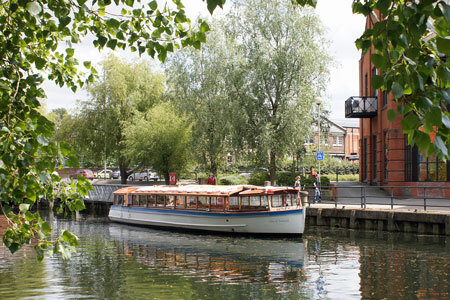 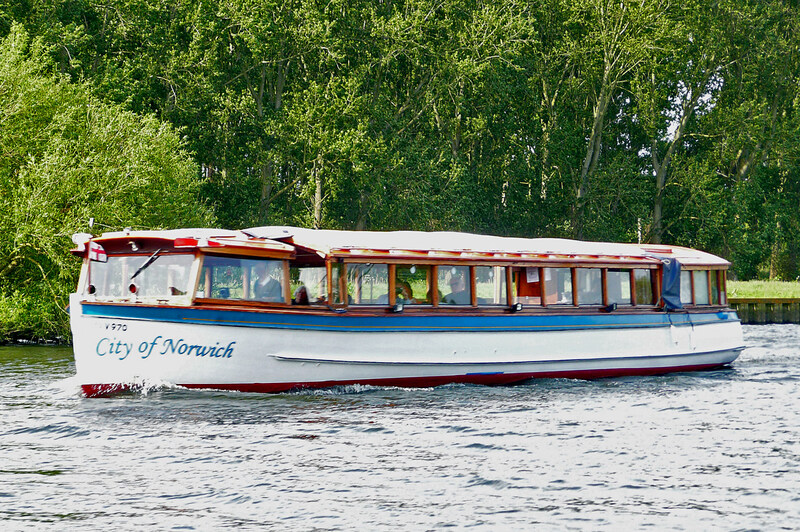 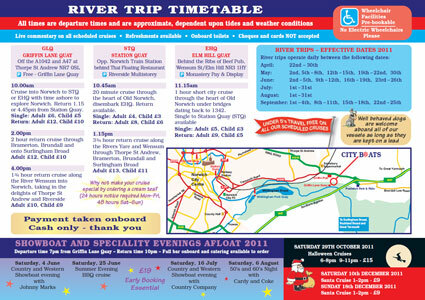 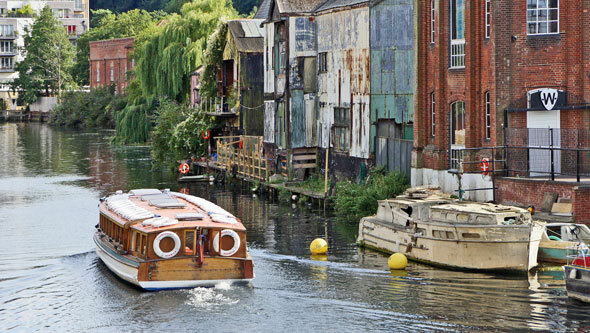 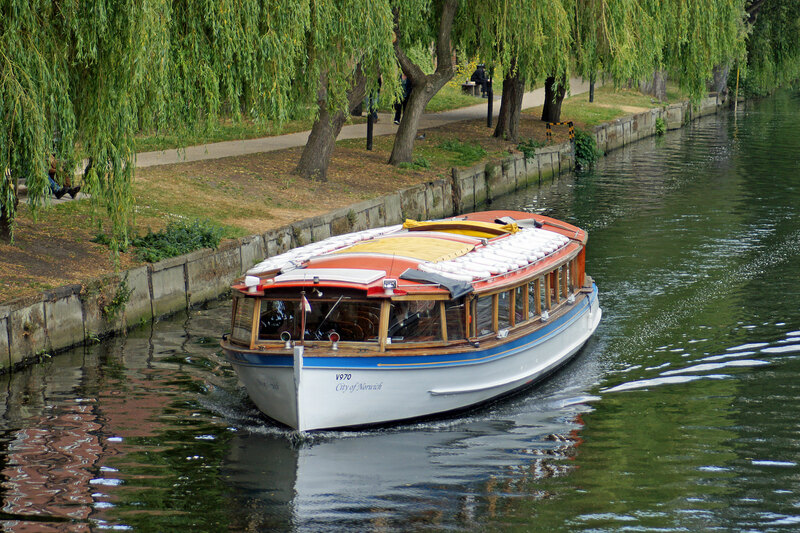 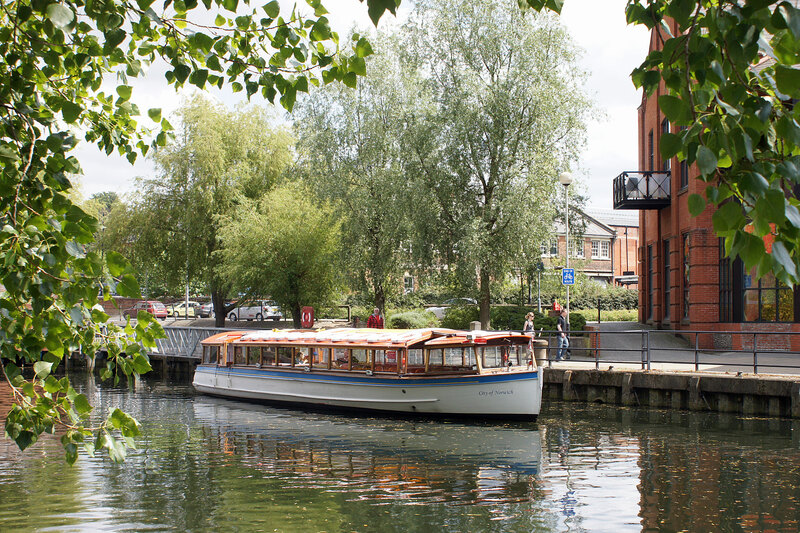 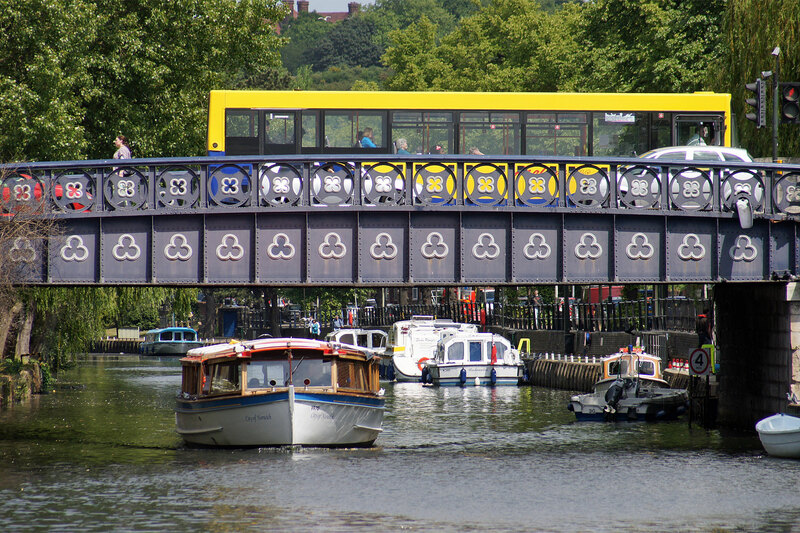 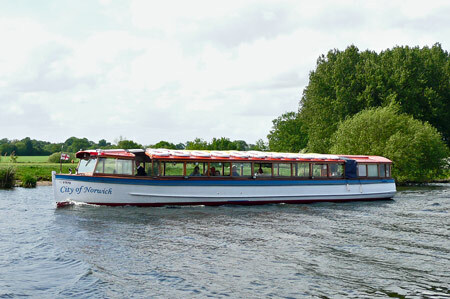 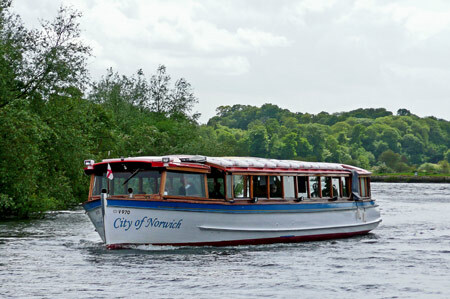 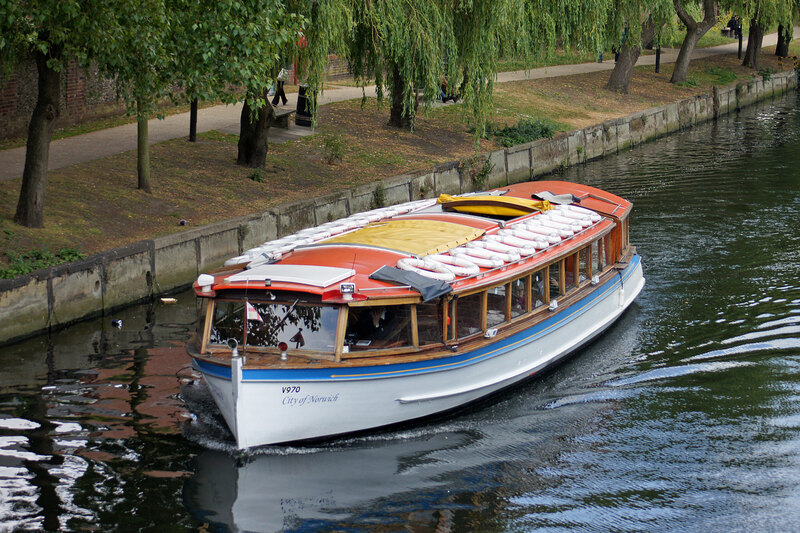 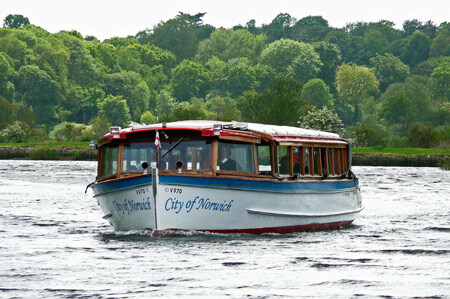 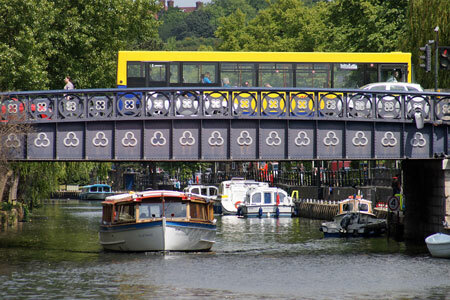 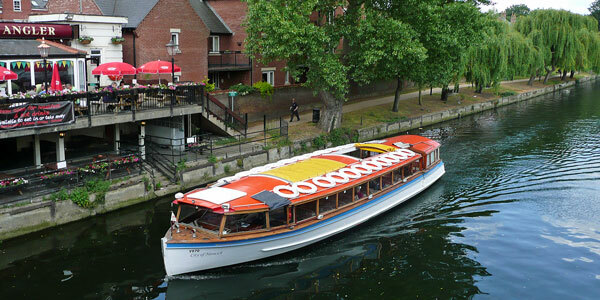 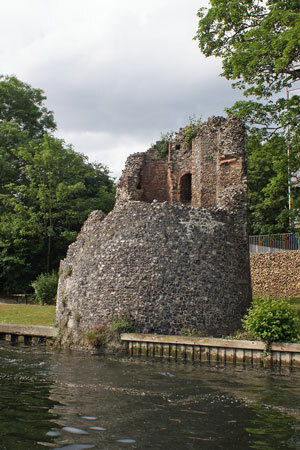 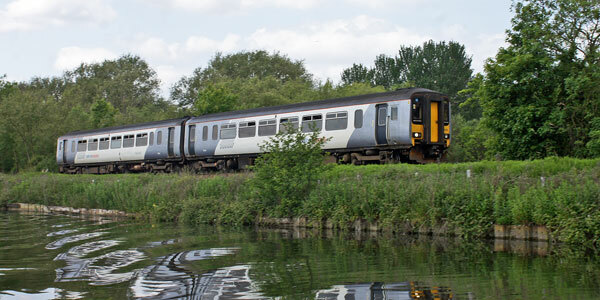 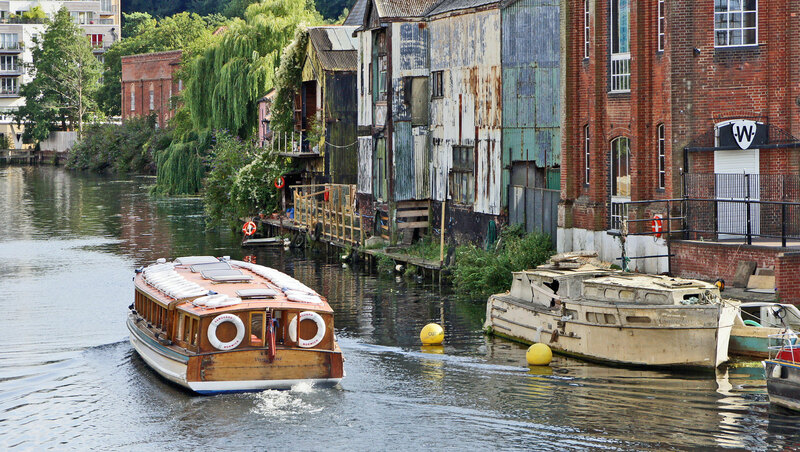 There were two river buses in the purchase - City of Norwich and Vanguard. Both vessels are of wooden construction and were built in 1931 and 1950 respectfully, Princess Elizabeth was added to the fleet in 2003. 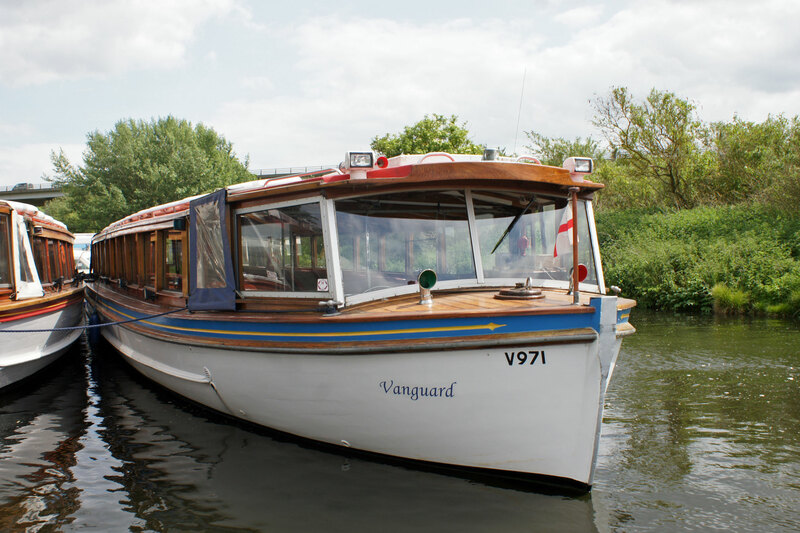 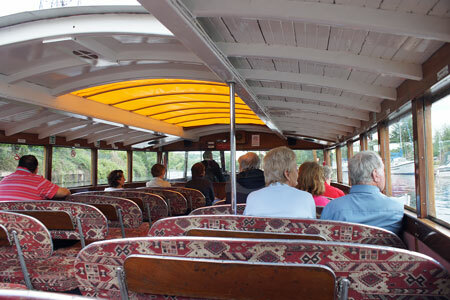 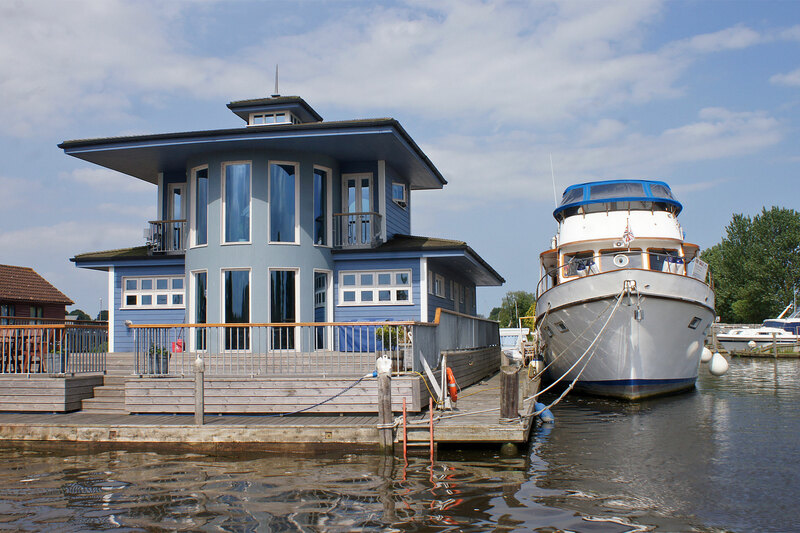 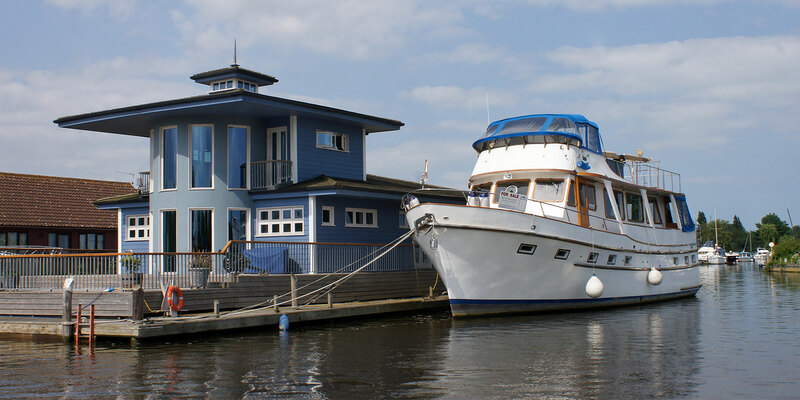 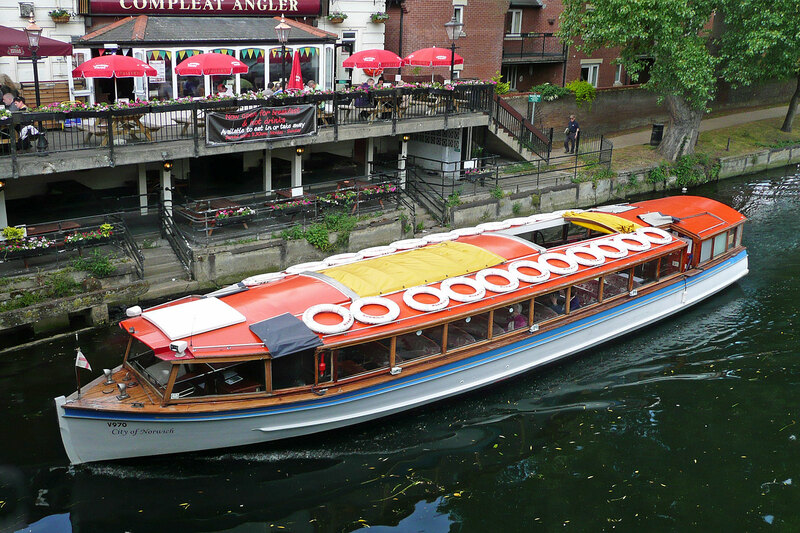 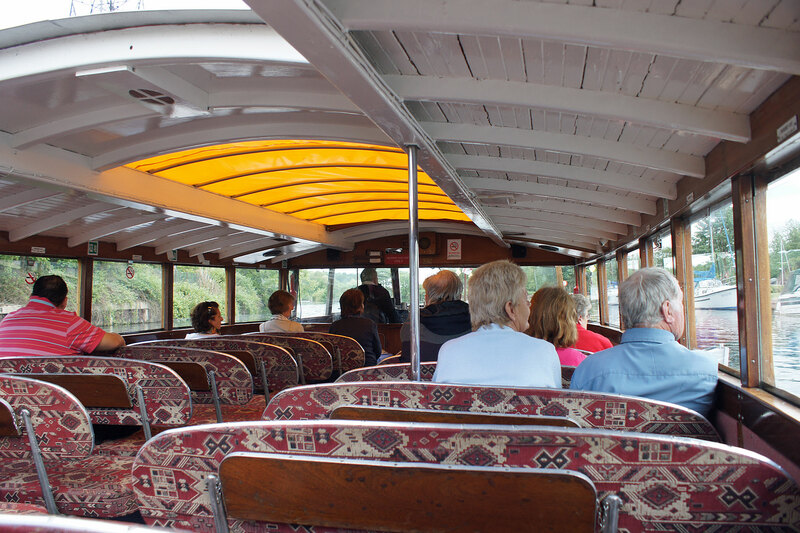 Over the last 9 years all the vessels have undergone major refurbishment. 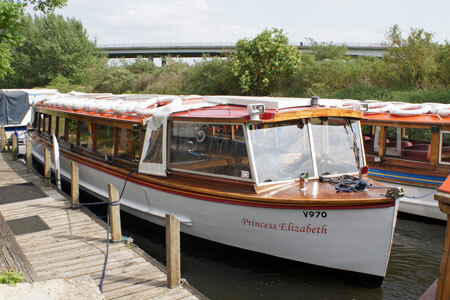 Princess Elizabeth is the designated private charter boat having flexible seating. 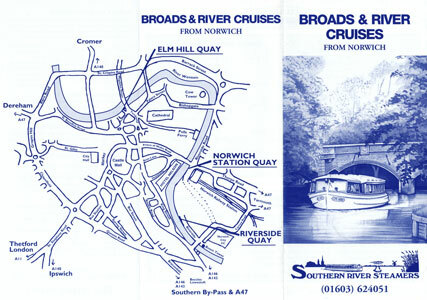 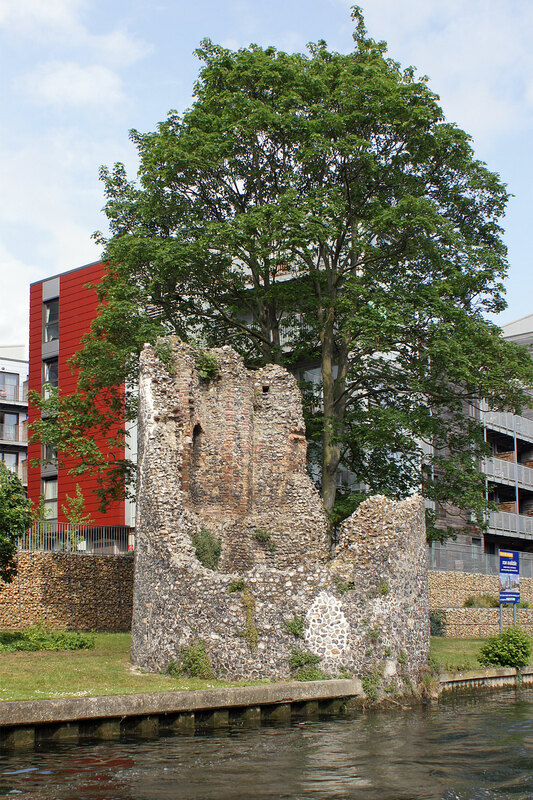 Mervyn undertook all the business marketing and was heavily involved with various groups to promote tourism in Norwich until he became terminally ill and passed away on the 19th March 2007. After Mervyn's demise, Beryl was joined in the business by daughter Linda and son-in-law Richard. 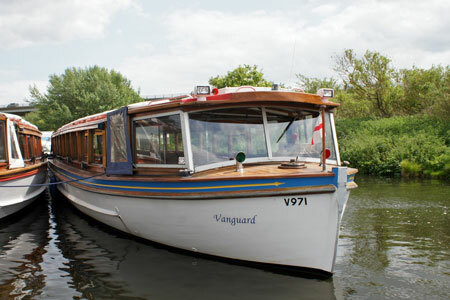 Linda is largely responsible for all the administration and Richard is responsible for maintenance. 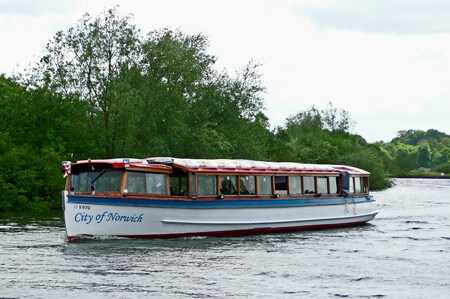 The City of Norwich carries 50 passengers with coach style seating. 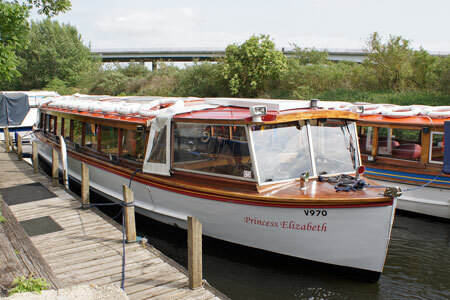 The Princess Elizabeth carries 40 passengers with open plan seating to make her more suitable for some charters. 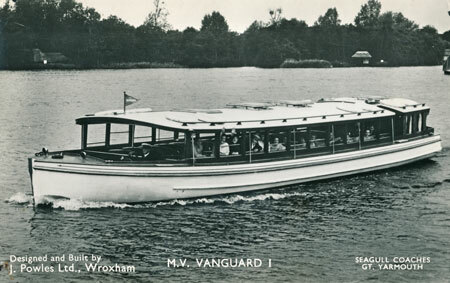 The Vanguard carries 60 passengers with coach style seating.